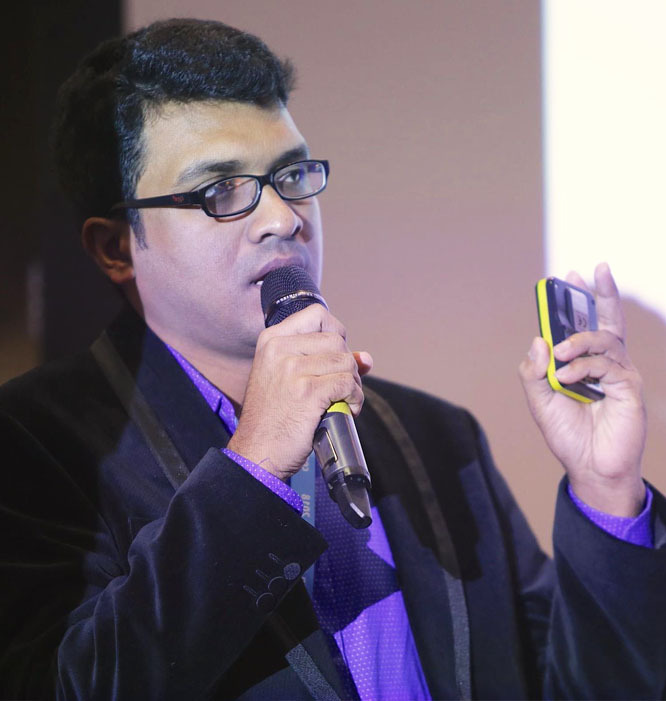 A Computer Engineer, Alamgir Hossain is the Associate Professor of Computer Science and Engineering Discipline at Khulna University. 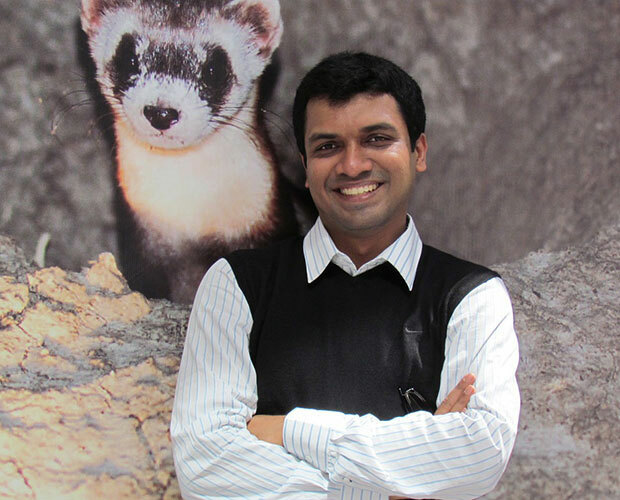 His research spans in the fields of IoT, HCI, Tangible Computing, Ambient Intelligence and Humanized Computing. 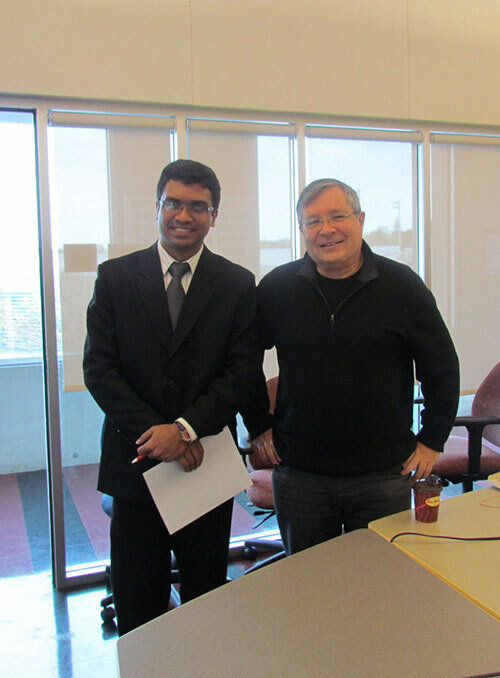 He has authored or co-authored more than 25 publications including refereed journals and conference papers. 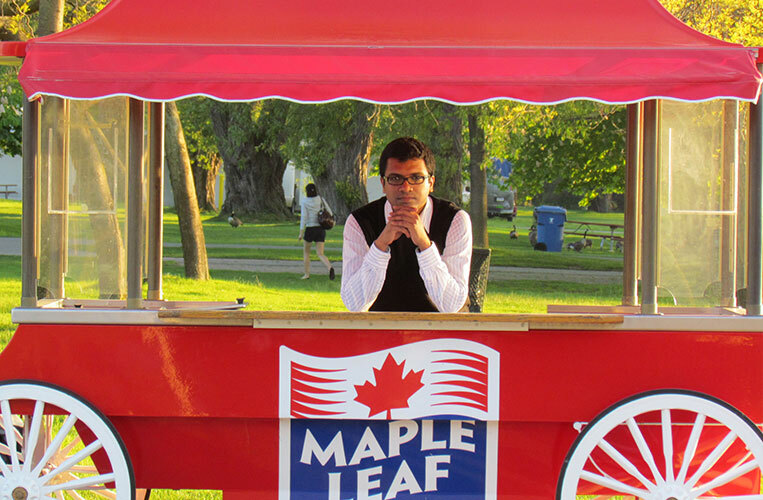 He received the M.Eng. 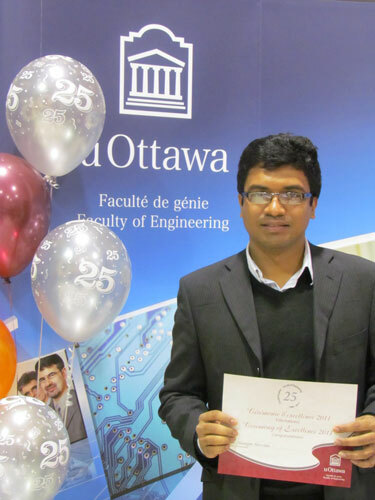 degree in Computer Science, from the School of Information Technology and Engineering, University of Ottawa, Ottawa, ON, Canada. He was a member of the MCRLab and Discover Lab. 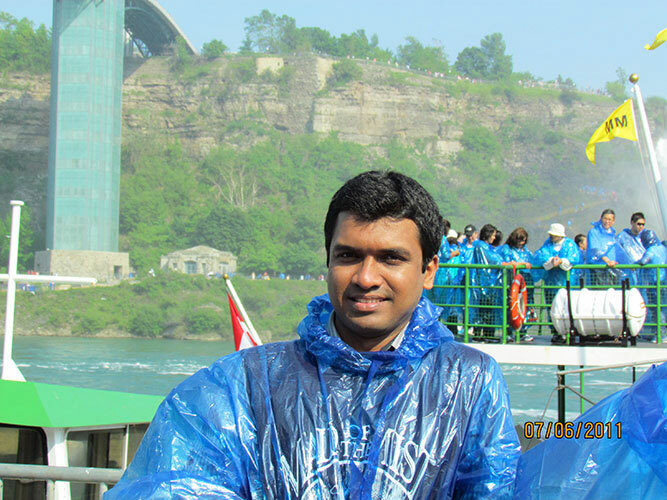 Before join to Khulna University he worked a few years with JAXARA IT Ltd as a Software Engineer. Faculty of Arts, University of Ottawa. Pacific Bangladesh Telecom Ltd (Citycell). ICT Division, Government of the People's Republic of Bangladesh is awarded me this prestigious fellowship. 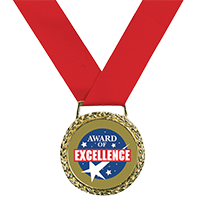 Happy to say that, I am awarded the prestigious University of Ottawa, Excellence Award for significant contribution in research. 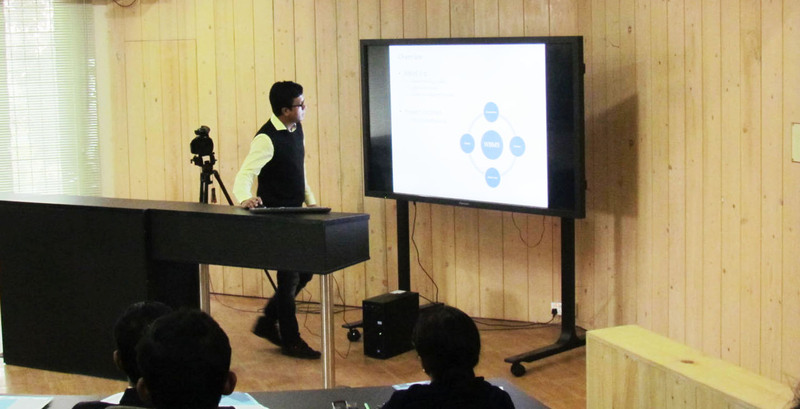 MCRLab arranged a web application design competition. Several designer participated in this competition. 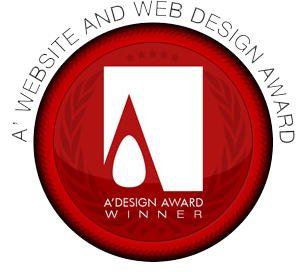 My design selected and I received the best web designer award. Best Finish Award - "Pyxisnet 3D Game Coding Competition"
Pyxisnet organized a non - stop 3D game coding competition. There are ten groups and each groups has five contestent. 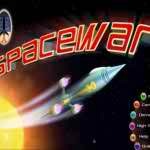 I was in Group C. We created a space shooter game with DirectX and XNA framwork. It was 3 days and 2 night contest. In this contest I created a record of my life, I worked in front of the computer 30 hours long without any rest. This is really a horrible things. At last we get the 'The Best Finish Award'. 1st Position in the "Southern Regional Programming Contest"
It was September 2005, Saturday. Our University and PGD IT organized a regional programming contest. There are 19 teams (total 57 contestent) from 5 universities. Our team KU ALPHA CENTAURI solved 4 problems out of 6 problems in 5 hours. At the award giving ceremony me and our team was very nurvous because we didn't know who will be the champion. But when the cheif guest (our Vice Chancellor) said our team name, we are very proud of that. I never forget this moment ever in my life. 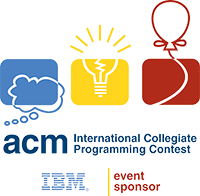 Awarded 1st according to the visitors votes at "BRAC Bank IT FAIR"
14th Position in the "ACM ICPC - Dhaka Site-2005"
ACM International Collegiate Programming Contest (ICPC) is the most prestigious programming contest all over the world. Problems of this contest is really hard. Need clear knowledge of most of the recognized algorithms. The team who place 1st really good thinker. 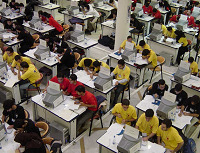 ICPC-2005 has 8 problems, 99 teams, 5 hours. We solve 3 problems and got the 14th place. 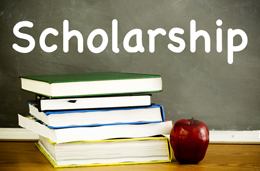 I am proud because there are few peoples who have not required any money for studying in university. I think I am also fall in this category. I think I got more money from my university than I spent for my university. 3rd Position in "Khulna University Programming Contest- 2004"
This was an internal university programming contest. There are 10 teams and 5 problems, we solved 3 problems and got the 3rd place. Two billions people around the world are using the Internet. While more and more people will gain access to such a global information and communication infrastructure, another big leap forward is coming, related to the use of the Internet as a global platform for letting machines and smart objects communicate, dialogue, compute and coordinate. It is predictable that, within the next decade, the Internet will exist as a seamless fabric of classic networks and networked objects. Content and services will be all around us, always available, paving the way to new applications, enabling new ways of working; new ways of interacting; new ways of entertainment; new ways of living. Urban living already poses major challenges in our daily lives. The United Nations Population Fund forecasts that by 2030 approximately 60 percent of the world population will live in an urban environment, while 27 megacities with greater than 10 million people are anticipated to exist [M. Naphade et al]. At present, we can hardly imagine our life without the Internet. With more and more connected objects becoming available, it will be even harder to imagine that the Internet we use today to reach people, find information, and assist us in our daily lives with innovative services will not be extended toward creating value out of such increased availability of connected objects. Important Copyright Notice: This material is presented to ensure timely dissemination of scholarly and technical work. Copyright and all rights therein are retained by authors or by other copyright holders. All persons copying this information are expected to adhere to the terms and constraints invoked by each author's copyright. In most cases, these works may not be re-posted without the explicit permission of the copyright holder. SA. Hossain, MA. Rahman, and MA. Hossain. Journal Paper2018HCI Journal of Parallel and Distributed Computing 122 (2018): 226-237. The Internet of Things (IoT) offers a lot of benefits for building smart cities. Such cities will be able to utilize a huge number of heterogeneous IoT devices that can generate a sheer volume of data. So, considering this heterogeneity, one of the major challenges in smart cities is how to process this data and identify different situations for decision-makers on the basis of this data. The traditional cloud computing approach can provide enormous computing and storage facilities to support data processing. However, it requires all the data to be moved to the cloud from the edge devices of the user endpoint, thus introducing a high latency. In this paper, we used the edge computing approach to minimize such latency. Besides, as major portion of data is generated from the user endpoint, processing this data in the edge can significantly improve the performance. Our experiment shows that processing raw IoT data at the edge devices is effective in terms of latency and provides situational awareness for the decision makers of smart city in a seamless fashion. T. Tabassum, SA. Hossain, and MA. Rahman. Conference Papers 2018IoT Science and Information Conference. Springer, July 2018, London, UK. Internet of Things has made dramatic change in our life. Consumer, governmental and business trends are pushing us toward the IoT. 1.9 billion Devices are being used today, and more than 50 billion will be used by 2020. So with the increase of internet connected devices, there is an increasing need for strong security measures. The sensors are manufactured by different companies with different processing power. In this huge number of low power sensors how the data will be protected from different attacks? As IoT data need to transit through different gateways and cloud to reach its final destination so what will happen if any attacker change the data or in any other way take the control and destroy the whole system. Our main target is to ensure a protected and secure IoT by introducing a secure key exchange mechanism, along with a key replacement process. As from our initial experimentation, we found out that the proposed approach of distributed key management technique is appealing and performing good with respect to several factors like robustness, delay, overhead, malicious attacks etc. 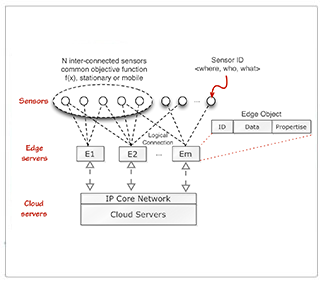 Detecting Situations from Heterogeneous Internet of Things Data in Smart City Context. SA. Hossain MA. Rahman and MA. Hossain. Internet of Things (IoT) offers a lot of benefits for building smart city today and tomorrow. In a smart city, large number of heterogeneous IoT devices are likely to be embedded, which will generate huge volume of data with different formats. Therefore it is a challenge to address such IoT data heterogeneity and process them together to support decision makers with information of interest. This paper provides a framework to achieve this goal. Our experiment shows that the information obtained from raw IoT data provides situational awareness for the decision makers of smart city in a seamless fashion. A Wearable Sensor Based Elderly Home Care System in a Smart Environment. MNA Hossain, A Pal, SA. Hossain. 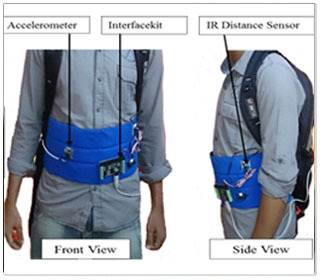 Conference Papers 2015Smart EnvironmentElderly Care Wearable Sensors Proceedings of ICCIT 2015, Dhaka, Bangladesh. December 2015. Elderly people need 24-hours care and support for their physical disability and mental weakness. With the ever growth of the elderly people this section needs some importance. But 24-hours caring and monitoring can’t be provided by the family members and caregivers because of their daily affairs. So the question arises here how they gives supportive care to their elderly. The answer is related to the using technology. In every sphere of our life technology is used for making the life easier and comfortable. So the caregivers monitor and care their elderly people with the help of technology. These kind of technologies introduced smart environment. The smart environment informs the caregivers about the current position and status of the elderly people and their living environment. In this paper we introduced a wearable sensor based elderly home care system in a smart environment. We have used personal computers as monitoring system, sensors for sensing data, webservice to communicate between monitoring systems. From our user study we can see that our system is not only useful but also would be helpful for further research in this domain. 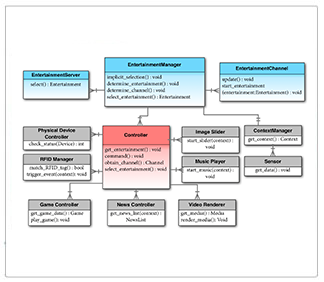 A Framework for a Context-Aware Elderly Entertainment Support System. M. Anwar Hossain, Atif Alamri, Ahmad S. Almogren, SA. Hossain and Jorge Parra. 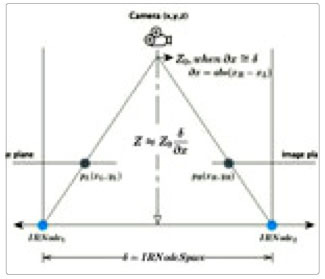 Journal Paper2014HCI Sensors, December 2014, Volume 14, Issue 6, Pages 10538-10561. Elderly people constitute a major portion of world's population. Many of them are physically and mentally vulnerable and need continuous support for their health and well-being. There is a growing trend that these elderly people are placed in an ambient assisted living environment (AAL) with an aim to receive better care and support. In such settings, a lot of attention has been given to continuous health monitoring for maintaining physical health status. However, much less attention has been given toward understanding the entertainment needs of the elderly people, which is an important factor relevant to their mental health and joyful living. This paper thus addresses the entertainment needs of the elderly and proposes a framework of an elderly entertainment support system. The proposed framework enables different categories of residents (e.g., elderly people and caregivers) to access various media services in both implicit and explicit manner in order to enhance the quality of their living experience in different contexts. Our experimental results demonstrate the viability of the proposed framework. We believe that the proposed approach will establish the need to develop entertainment systems and services for the elderly people and allow us to sensibly address the problems associated with their independent, happy and active living. 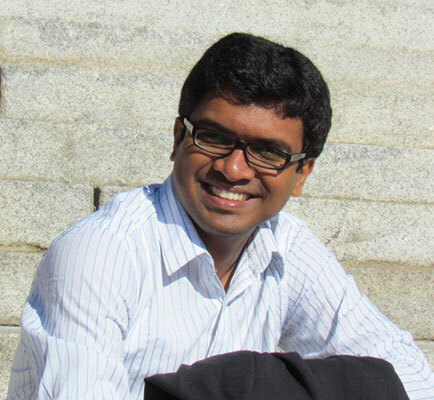 Neural net based complete character recognition scheme for Bangla printed text books. Conference Papers 2013OCR Proceedings of ICCIT 2013, Dhaka, Bangladesh. December 2013. 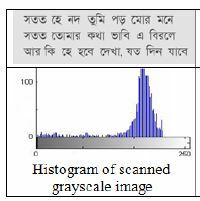 In this paper we propose a neural net based characters recognition scheme for Bangla printed text books. There are a lot of scientific literature, novels, magazines and books etc that are written in Bangla language. More than 400 million people use Bangla language. Most of the library and educational institutions want to keep copy of the books in a digital format. For storing those books in digital text format we need a good character recognition schemes by which we can convert the scanned text book images to editable texts. The key contribution of our research highlights this issue. We propose four main stages namely preprocessing, segmentation, training-recognition and post-processing. In the beginning the input book images preprocessed by rotation, scaling, binarization and noise elimination. 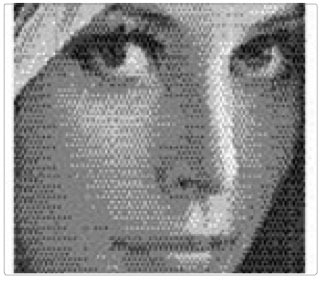 The binarized image is then segmented and extracted into individual characters that are trained and recognized by an artificial neural network. Finally, the process ends by reconstructing the text in the post processing stage. DBF-MLT: NP-Completeness of Specialized Voice Service in Networked Virtual Environment a Peer-to-Peer Approach. Conference Papers 2013HCI Proceedings of ICCIT 2013, Dhaka, Bangladesh. December 2013. Several researchers have successfully developed realistic technique for specialized voice service in networked virtual enthronement (NVE) like Second Life. Specialized voice service in virtual environment enables users to speak to each other naturally and seamlessly. 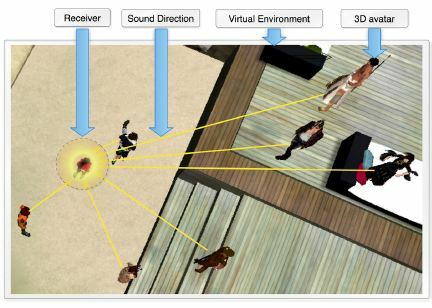 The spatial 3D avatar location and the voice direction in the virtual environment are used to generate realistic sound. Although with this specialized audio or voice streaming in virtual environment the real user can more easily identify who is talking, if several people are taking simultaneously. But this is a challenging task to stream the voice or audio data to the users' machine by considering the user bandwidth limit and the tight latency constraint and this can be formalized as a NP-complete problem. In this paper, we presented the proof of NP-completeness of the specialized audio streaming problem called DBF-MLT. A Gamming Approach In Physical Therapy for Facial Nerve Paralysis Patient. T. Tasneem, A. Shome and SA.Hossain. Conference Papers 2013HCI Proceedings of ICCIT 2013, December 2013, Dhaka, Bangladesh. 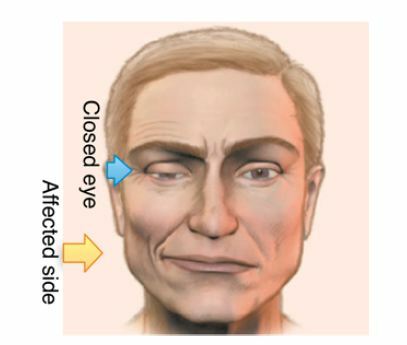 This work is based on developing a system for the Bell's palsy, a type of facial nerve paralysis, patients to help them in passive exercise, which is one of the major ways to recovery. This exercise method will be provided in the form of computer game so the user will be able to perform exercise without the hardship that comes with active exercise. It will also show how much this system helps the patients and how its performance is analyzed by the users' i. e. the patients. We will also show that how passive exercise is preferable to current active one. As per initial experimentation, we found out that the proposed gaming approach for Bell's palsy recovery is useful to the patient. 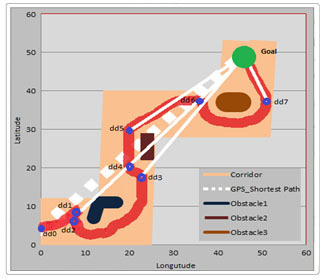 Obstacles invariant navigation of An Autonomous Robot based on GPS. MAA Ahasan, SA. 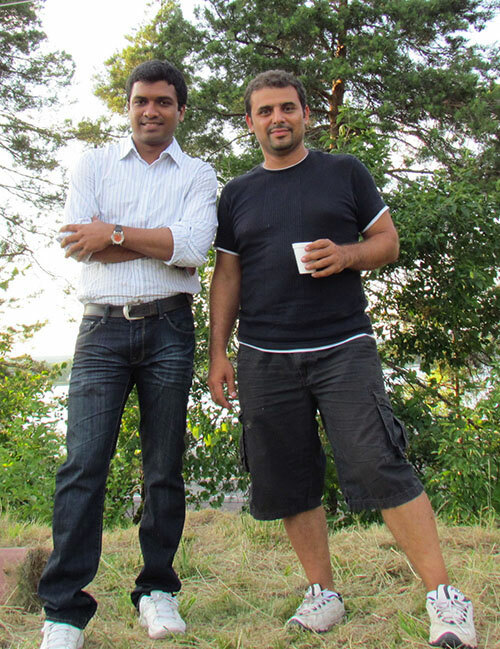 Hossain, and AU Siddiquee. Conference Papers 2012HCI Proceedings of ICCIT 2012, Chittagong, Bangladesh, December 2012. Robotics has a momentous features and application in our daily life. It can make our life faster easier and comfortable. Many researchers around the world are trying to develop an effective robotic system for household or industrial equipment management purposes. Global positioning System (GPS) is good for reaching high accuracy techniques to track the equipment current position. 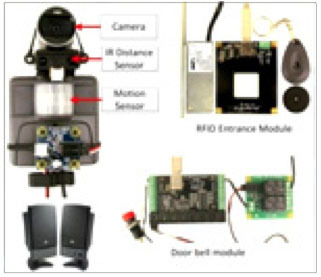 Motivating from this works in this paper we proposed the design and development of a prototype system which is based on GPS navigation and IR sensor for detecting and avoiding obstacle in dynamic context. As per the initial experimentation, we found out that the proposed approach of obstacle avoiding mechanism is appealing and useful to the user. Some of the potential applications of the proposed system include household appliances or hospital apparatus movement and children guidance. Remote-Touch: Augmented reality based marker tracking for Smart Home control. AMohmmad Ullah, MR Islam, SF Aktar, SA. Hossain. Conference Papers 2012Smart Home Proceedings of ICCIT 2012, Chittagong, Bangladesh, December 2012. People of physical limitations like old age people, physically disabled people, and autistic people face a lot of challenges to accomplish their daily tasks. It is hard for them to operate regular appliances (like fan, light, opening or closing the window) which may seem very casual for us who are physically blessed. Now a days touch based controlling has greater psychological impact on human mind. Touch uses the user's imagination power more. Driven by these key thinking, we have thought of a home appliance controlling system - touch based smart home which augments the users real life experience. In this paper we describe the development of a prototype that uses the augmented reality based on touch controlling system to control the daily home appliances in a smart home. We have used a smart phone to design the user interface, QR code to track appliances, web service to communicate between the central controlling system and a client app (the smart phone), through X10 to control the appliances physically. 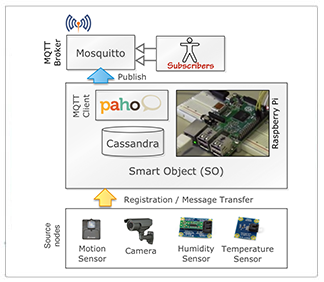 Ant-based service selection framework in smart home monitoring environment. 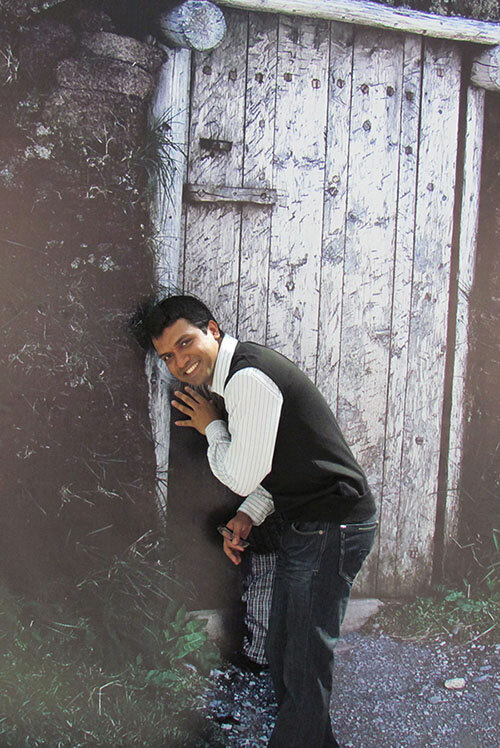 M. Shamim Hossain, SA. Hossain AM. Alamri, and A. El Saddik. Selecting ambient media services in a smart home monitoring environment is challenging. Services in such an environment should be ubiquitous, adaptive, and robust with respect to access and delivery. Many different techniques exist for selecting services in smart environments, for example, dynamic programming, genetic algorithms, and fuzzy logic. However, existing approaches to service selection fail to address the dynamic nature of the services and the requirement of considering the user context and user satisfaction. We address this issue by proposing an ant-inspired service selection framework based on dynamic user preferences and satisfaction. This ant-inspired approach is robust to failures and adaptive to dynamic context. The proposed framework enables different categories of residents (e.g., elderly people, fathers with children, mothers, and so on) to access various media services in such a way that their experiences are optimized with regard to their surrounding environment. Experimental results demonstrate the viability of the proposed framework. 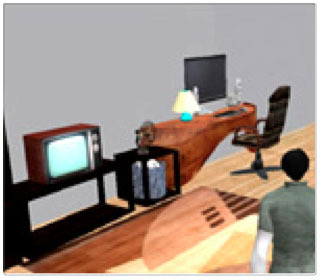 Haptic Interaction and Avatar Animation Rendering Centric Telepresence in Second Life. A. Rahman, SA.Hossain, and A. El Saddik. Book Chapter2012Telepresence Multimedia Image and Video Processing by CRC Press, March 2012, Pages 717-739, Edition 02, ISBN 978-1-4398-3086-4. 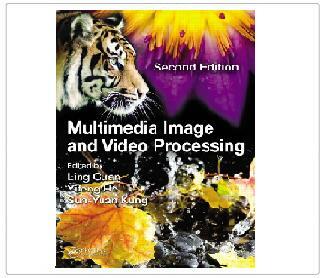 In the past 10 years, we have witnessed the significant advances in multimedia research and applications. Amount of new technologies have been invented for various fundamental multimedia research problems. They are helping the computing machines better perceive, organize, and retrieve the multimedia content. With the rapid development of multimedia hardware and software, nowadays we can easily make, access and share considerable multimedia contents, which could not be imagined only 10 years before. All of these result in many urgent technical problems for effectively utilizing the exploding multimedia information, especially for efficient multimedia organization and retrieval in different levels from personal photo albums to web-scale search and retrieval systems. We look into some of these edge cutting techniques arising in the past few years, and in brevity summarize how they are applied to the emerging multimedia research and application problems. Bringing Virtual Events into Real Life in Second Life Home Automation System. SA. Hossain, A. Rahman, and A. El Saddik. Conference Papers 2011Smart Home Proceedings of VECIMS 2011 - the IEEE Conference on Virtual Environments, Human-Computer Interfaces and Measurement Systems, Ottawa, Canada, September 2011. In this paper we propose the design and development of a prototype system to monitor and control a physical home and to bridge the interaction gap between the virtual and real world device control mechanism. We created a virtual 3D home in Second Life that mimics the look of a physical home. In the physical home environment different devices and sensors are connected in order to ensure a safe and automated home. Any event that occurs in the physical space of the smart home is then synchronized with the virtual environment. More importantly, the virtual home interface provides the option to control the physical smart devices. 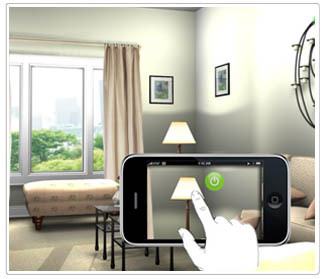 By using the Second Life virtual interface the home owner have a better look to monitor or control the home appliances. As per the initial experimentation, we found out that the proposed approach of Second Life based home automation system is appealing and useful to the user. Fusion of Face Networks through the Surveillance of Public Spaces to address Sociological Security Recommendations. Conference Papers 2011Surveillance Proceedings of ICME 2011 - the IEEE Conference on Multimedia and Expo, Pages 1-6, Barcelona, Spain, July 2011. Researchers around the world are trying to address the ever increasing security requirements by bringing new approaches to surveillance specifically in public places like school, railway, subway station, air port etc. To establish and sustain security in public spaces, surveillance plays a key role in technology-dependent governance common to many countries in the world. Traditionally, through the routine surveillance, an automated security system gains knowledge about people and their activities in a certain space. In this paper we are proposing a fusion algorithm to aggregate surveillance parameters from more than one such spaces. Inspired by existing works on social network analysis based on human photos, we propose a new face network structure model. 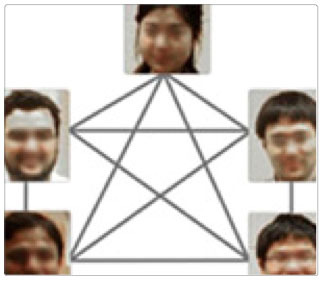 These face network structures are later fused to obtain sociological parameters of a person of interest and gather recommendations about the circle of associates of that individual. We believe these type of recommendations are helpful in comprehensive investigation purposes. Measurements of Multi-modal Approach to Haptic Interaction in Second Life Inter-personal Communication System. The sense of touch has much importance in technology-mediated human emotion communication and interaction. Many researchers around the world are aiming to leverage the sense of touch in the communication medium between multiuser 3D virtual world and real environment. Driven by the motivation, we explored the possibilities of integrating haptic interactions with Linden Lab's multiuser online virtual world, Second Life. We enhanced the open source Second Life viewer client in order to facilitate the communications of emotional feedbacks such as human touch, encouraging pat and comforting hug to the participating users through real-world haptic stimulation. These emotional feedbacks that are fundamental to physical and emotional development in turn can enhance the users interactive and immersive experiences with the virtual social communities in the Second Life. 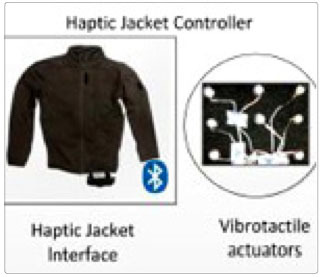 In this paper, we describe the development of a prototype that realizes the aforementioned virtual-real communication through a haptic-jacket system. Some of the potential applications of the proposed approach includes distant lover's communication, remote child caring, and stress recovery. Interpersonal haptic communication in second life. Conference Papers 2010Haptic Proceedings of HAVE 2010 - the 9th IEEE International Symposium on Haptic Audio Visual Environments and Games, Pages 1-4, Arizona, USA, Oct 2010. 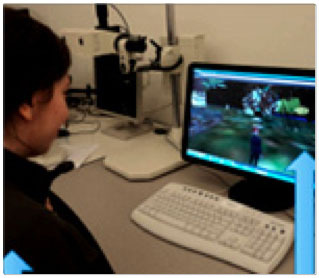 Potential of nonverbal communication as the communication medium between multiuser 3D virtual worlds and real environment are attracting the interest of many researchers around the world. Driven by the motivation, we explored the possibilities of integrating haptic interactions with Linden Lab's multiuser online virtual world, Second Life. We developed an add-on to the Second Life communication channel in order to facilitate emotional feedbacks such as human touch, encouraging pat and comforting hug to the participating users through real-world haptic simulation. These social touch that are fundamental to physical and emotional development in turn can enhance the users interactive and immersive experiences with the virtual social communities in the Second Life. 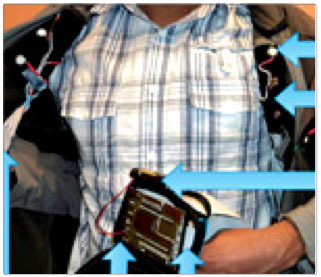 In this paper, we describe the development of a prototype that realizes the aforementioned virtual-real communication through a haptic-jacket system. Some of the potential applications of the proposed approach include remote child caring, stress recovery, distant lover's communication etc. Bridging the Gap between Virtual and Real World by Bringing an Interpersonal Haptic Communication System in Second Life. A. Rahman, SA. Hossain, and A. El Saddik. Conference Papers 2010Haptic Proceedings of ISM 2010 - the IEEE International Symposium on Multimedia, Pages 228-235, Taichung, Taiwan, December 2010. The sense of touch has much importance in technology-mediated human emotion communication and interaction. Many researchers around the world are aiming to leverage the sense of touch in the communication medium between multi-user 3D virtual world and real environment. Driven by the motivation, we explored the possibilities of integrating haptic interactions with Linden Lab's multi-user online virtual world, Second Life. We enhanced the open source Second Life viewer client in order to facilitate the communications of emotional feedbacks such as human touch, encouraging pat and comforting hug to the participating users through real-world haptic stimulation. These emotional feedbacks that are fundamental to physical and emotional development in turn can enhance the users interactive and immersive experiences with the virtual social communities in the Second Life. 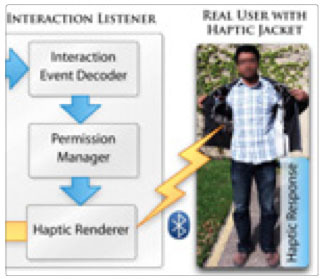 In this paper, we describe the development of a prototype that realizes the aforementioned virtual-real communication through a haptic-jacket system. Some of the potential applications of the proposed approach includes distant lover's communication, remote child caring, and stress recovery. 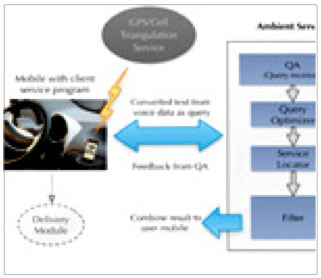 Location aware question answering based product searching in mobile handheld devices. SA. Hossain, A. Rahman, T. Tran, and A. El Saddik. Conference Papers 2010E-Commerce Proceedings of DS-RT 2010 - the 14th IEEE/ACM International Symposium on Distributed Simulation and Real Time Applications, Pages 189-195, Fairfax, Virginia, USA, Oct 2010. In this research we present a question answering based searching technique for location based shopping. A user may ask a question to the system as they naturally ask to a human while the system retrieves the search results by analyzing the given question and the current GPS location. Based on the retrieved results, the system carry out conversation with the user to explicitly understand his/her needs and accordingly filters search results for display. The conversation between the system and the user is based on word co-occurrence keyword extraction and Artificial Intelligence Markup Language (AIML) technique. As per initial experimentation, we found out that the proposed approach of conversation based shopping is appealing and useful to the user. Augmented rendering of makeup features in a smart interactive mirror system for decision support in cosmetic products selection. A. Rahman, T. Tran, SA. Hossain, and A. El Saddik. Conference Papers 2010Smart Device Proceedings of DS-RT 2010 - the 14th IEEE/ACM International Symposium on Distributed Simulation and Real Time Applications, Pages 203-206, Fairfax, Virginia, USA, October 2010. We propose a smart mirror system to display an augmented 3D representation of the user with makeup features. In this approach the user is able to view the possible outcomes of different makeup applications in the smart mirror without affecting the real face appearance in the process. The system incorporates 3D face construction, IR based face tracking and OpenGL material extensive rendering approach to deliver the augmented made-up face. We argue that by viewing the augmented grooming features the users will be able to flexibly decide the makeup products of their choice. Haptic based emotional communication system in second life. Demo Paper 2010Haptic Proceedings of HAVE 2010 - the 9th IEEE International Symposium on Haptic Audio Visual Environments and Games, Pages.1-1, Arizona, USA, October 2010. The sense of touch has much importance in technology-mediated human emotion communication and interaction. Many researchers around the world are aiming to leverage the sense of touch in the communication medium between multiuser 3D virtual world and real environment. Driven by the motivation, we explored the possibilities of integrating haptic interactions with Linden Lab's multiuser online virtual world, Second Life. We enhanced the open source Second Life viewer client in order to facilitate the communications of emotional feedbacks such as human touch, encouraging pat and comforting hug to the participating users through real-world haptic stimulation. DWT based digital watermarking technique and its robustness on image rotation, scaling, jpeg compression, cropping and multiple watermarking. SMM. Islam, R. Debnath, and SA. Hossain. Conference Papers 2007Image Processing Proceedings of ICICT 2007 - International Conference on Information and Communication Technology, Pages 246-249, Dhaka, Bangladesh, March 2007. We propose in this paper a Discrete Wavelet Transform (DWT) based digital image watermarking technique. For embedding process, we consider the watermark signal as a binary sequence which is embedded to the high (HL and HH) frequency band of the blue channel. 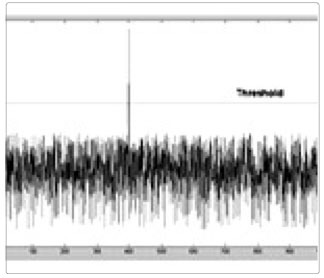 For detecting process, the correlation between the high frequency band DWT coefficients of the watermarked image and the watermark signal is compared with the predefined threshold to determine whether the watermark is present or not. The experimental results show that the method is comparatively robust to several attacks such as rotation, scaling, JPEG compression, cropping, and multiple watermarking. Improvement of the Performance of DCT Based Digital Image Watermarking Technique. SA. 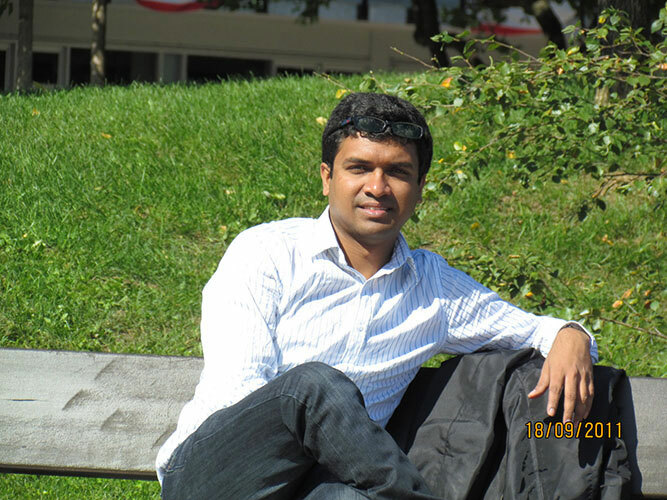 Hossain, SMM. Islam, and R. Debnath. Conference Papers 2006Image Processing Proceedings of ICCIT 2006 - the 9th International Conference on Computer and Information Technology, Dhaka, Bangladesh. December 2006. In this paper we propose an image watermarking technique based on DCT (Discrete Cosine Transform). The DCT is considered as containing low and high frequency band. The watermark signal is a binary sequence which is embedded to the selected DCT coefficients from high frequency band to the low frequency band of the host image. For watermark detection, the correlation between the selected DCT coefficients of the watermarked image and the watermark signal is compared with the predefined threshold which is used to determine whether the watermark is present or not. The experimental results show that the embedded watermark can resist to attack such as rotation, scaling, JPEG compression, cropping, and multiple watermarking. Designing 14-Segment Display for English Alphabet. SA. 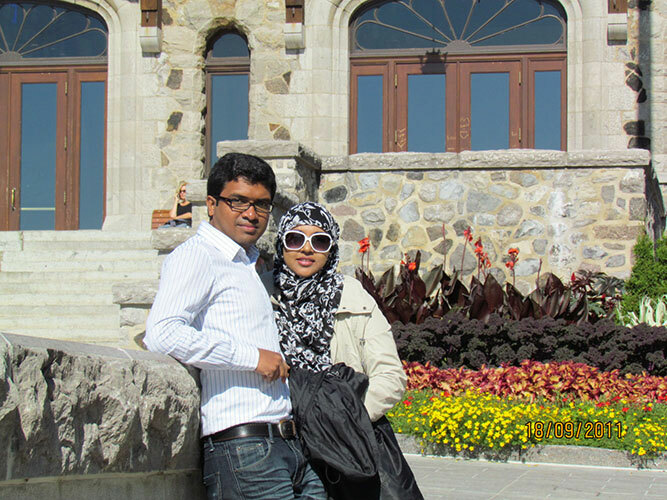 Hossain, and MIA. Khan. Conference Papers 2004HCI Proceedings of ICCIT 2006 - the 7th International Conference on Computer and Information Technology, Dhaka, Bangladesh. Dec 2004. One of the simplest and most prevalent methods for displaying numerical digits uses a 7-segment formation to produce the decimal characters 0 through 9. A method for 14-segment formation system to display English Alphabet characters has been proposed in this paper. 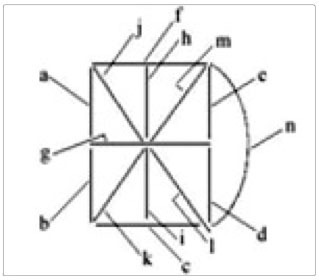 The 14-segment is arranged in such a way that these segments can characterize the entire English Alphabet. There are at most 26 Alphabet patterns to be displayed in English language and 5 bits are used to represent each of them. For each pattern particular segments are activated. 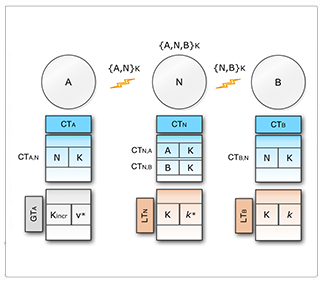 A number of switching circuits and their respective combinational logic have been designed in order to represent each pattern. In this video we demonstrate the smart home control using a virtual environment. Although the virtual environment has lot of facilities. But it has limited capability to communicate with the real world devices to automate or control a physical space like a smart home. By using this system people can control their home through virtual environment. 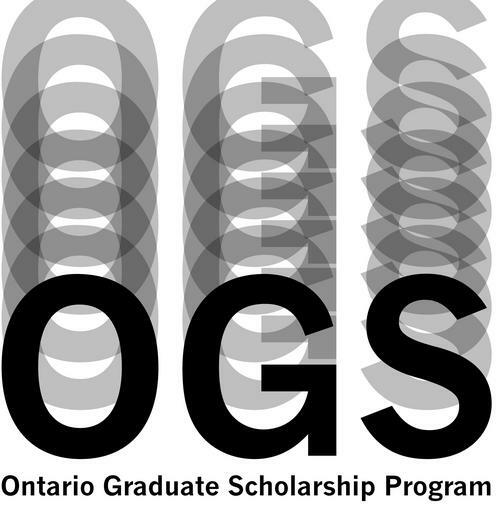 This demo demonstrating an Artificial Intelligent Markup Language (AIML) based Chabot system that I developed in Multimedia Communication Research Lab, University of Ottawa. The system has the following features that increase its intelligence: Google calendar integration? User can search related information from their Google event calendar. Dynamic AIML building? When any information found from the internet and which is not in its local knowledge database, it store. News, Image searching facility. Spelling correction facility. HTTP link in the interface and user can open it in the browser. 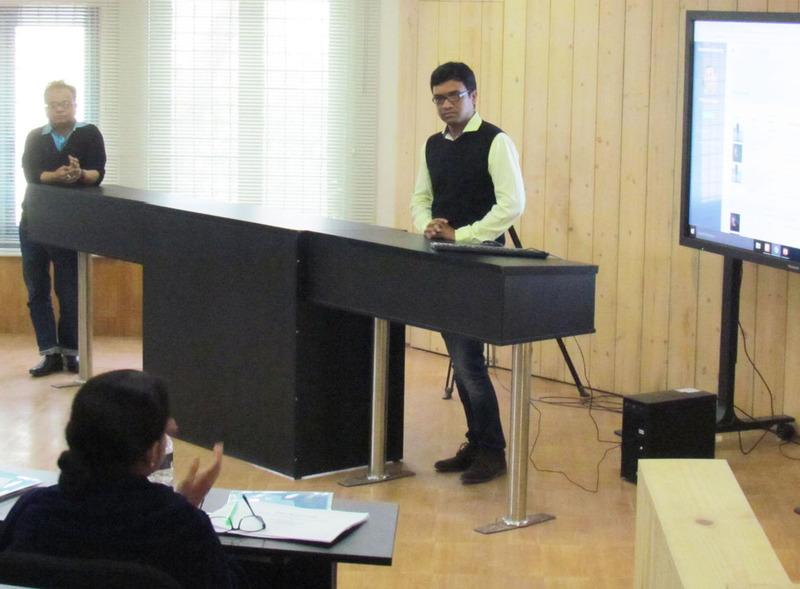 Presenting a paper in Computing Conference-2018, London, UK. 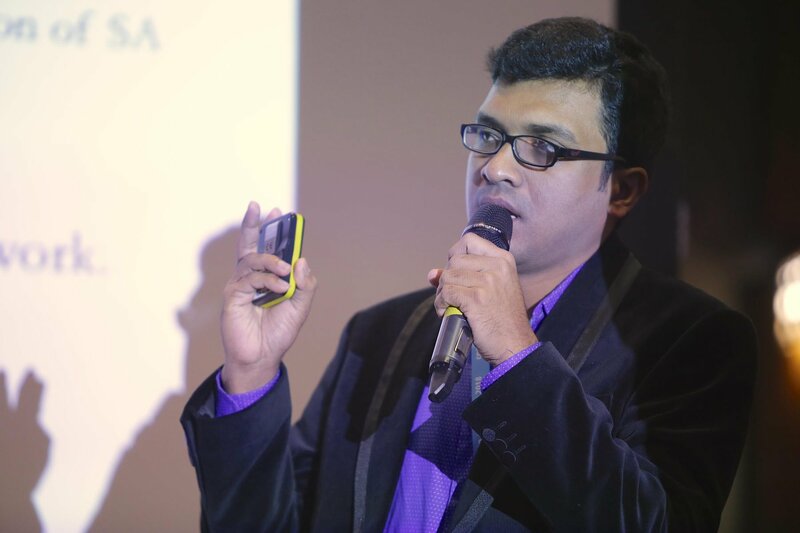 Presenting something in our Khulna University Campus. Finding something in Toronto CN Tower (it's a illusion, find if you can, i problem may have many alternative solution). Receiving University of Ottawa Excellent Award. Me with my masters supervisor Prof. A. El Saddik at his home in a BBQ paty. I would be happy to talk to you if you need my assistance in your research or whether you need IT support for your organization. Though I have limited time for students but I always appreciate those students who come to me to discuss about new ideas. 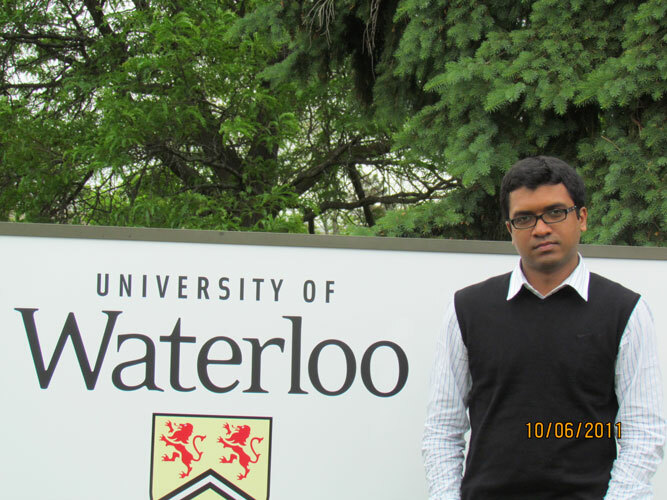 You can find me at my office located at Khulna University. I am at my office every day from 10:00 until 5:00 pm, but you may consider a call to fix an appointment.